The Canon 4969B001 RS-CL11 Ceiling Mounting Hanger is very sturdy with included anti-fall wires. It can be secured to either wood ceiling beams or concrete using commercially available bolts. 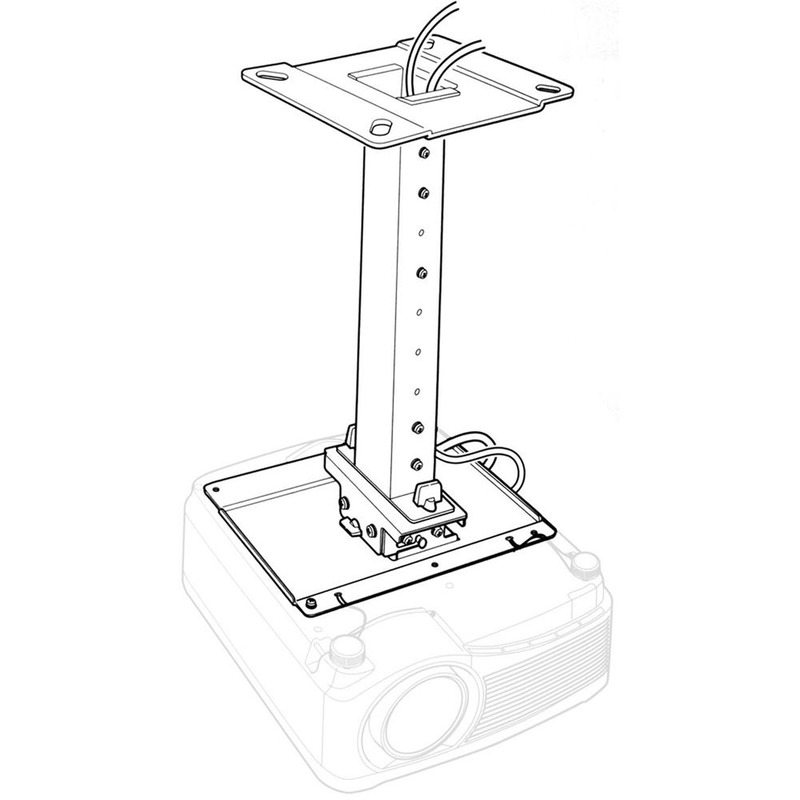 The adjustable base lets you pitch or rotate your projector plus or minus 10° while also rolling it up to 20°. The mount includes anti-fall wires to prevent accidents when unhitching your projector.